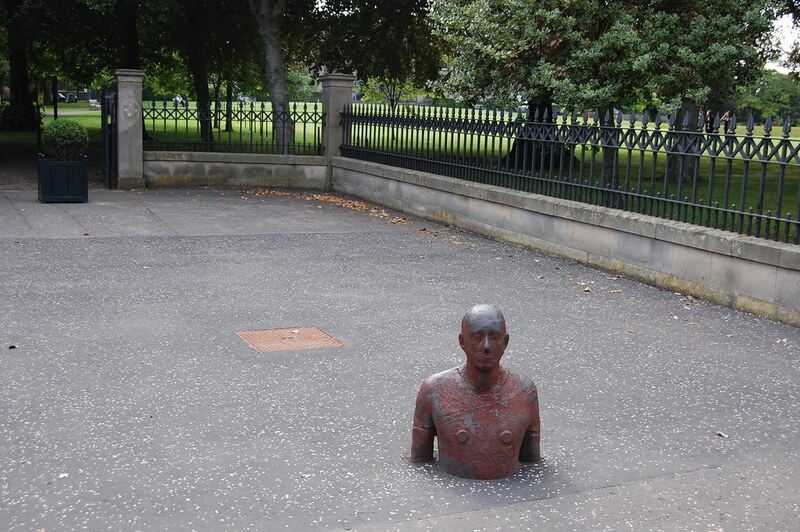 Unlike the New York installation, the six sculptures in Scotland are set to stay in place for 1,000 years. The New York piece, Event Horizon (2010), closes in two days, so this is the final weekend you will be able to go to Madison Square Park, pick up a Shackburger (and frozen custard), and view the ominous piece. 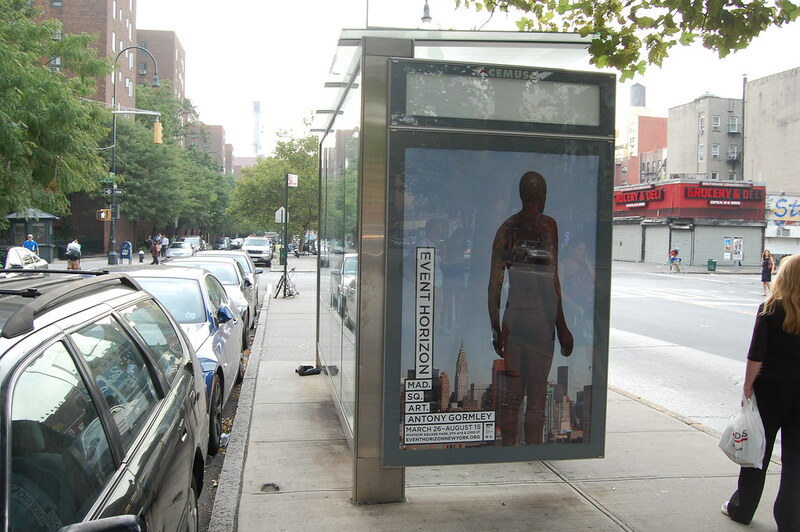 If anyone has any doubts about how small (and pervasive) the art world is today, witness the advertisement I found at my local bus stop upon returning home, only a few hours after seeing the same sculptures more than 3,000 miles away.